OhDark30, grgmini, timanthes and 15 others like this. merl, thanks for sharing your K-34. 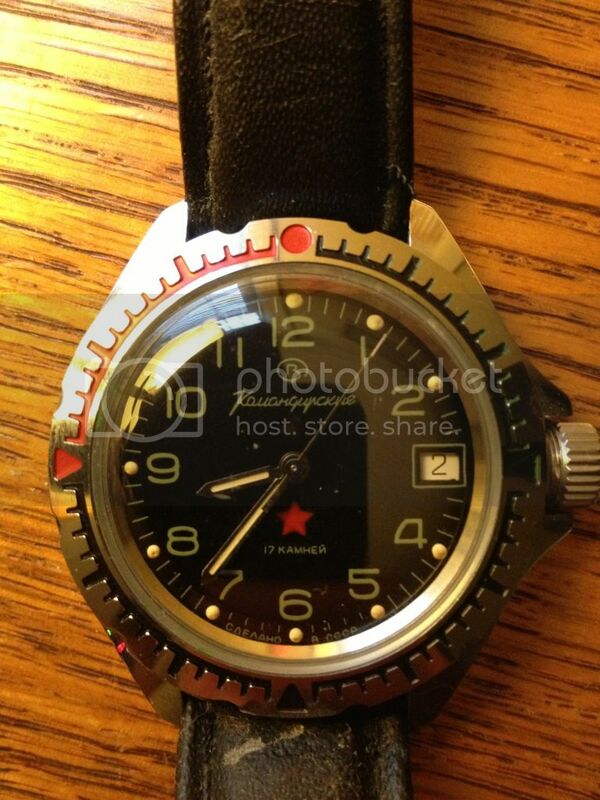 I really like these - great dial graphics, that full lume & the military simplicity of the whole package. Guess I'll just have to get saving! Mine has a different rotor. timanthes and slowcoach like this. You're welcome! Like arktika says it is a great watch. 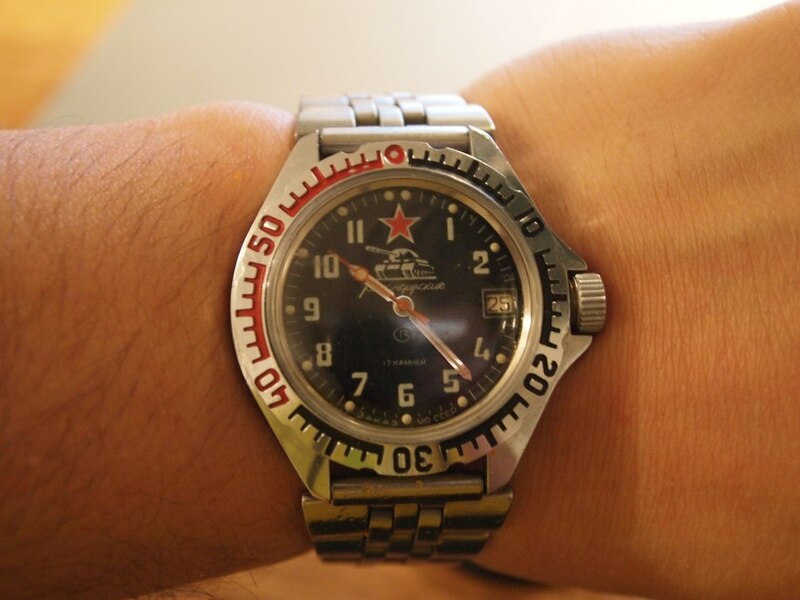 The gmt function is also a nice bonus. 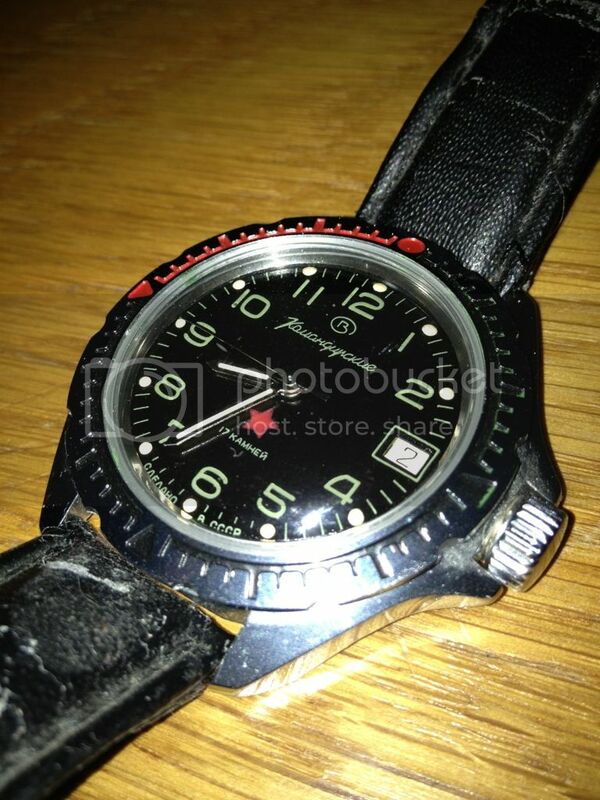 It seems that the watch won't be produced anymore but hopefully for you they will again sometime. I got this recently from my cousin. It was given to him by family of a friend visiting from Russia years ago. It keeps good time but I haven't worn it yet, want to replace the strap first and clean it up. Stone Hill, Redcrow, MR Diver and 5 others like this. Wow thanks guys, I am glad to see a few more out there. I did break down and buy Amphibia in a ministry case..
cestommek, Redcrow, slowcoach and 6 others like this. timanthes, jose-CostaRica, slowcoach and 4 others like this. So are the lugs on these 18mm or 20mm? I have been considering getting a Komandirskie from Zenitar, but want to get a ZULU strap to put it on since the straps they come with seem pretty poor. Some real beauties in this thread.